It is indeed a lifelong pursuit for an enthusiast to fully comprehend what this mystic wine region is about. And while inconsistencies in vintages and general quality, in the past, could discourage many people from seeking to learn its complexities, improvements in winemaking techniques and major investments of time & energy in the vineyard are now helping Burgundy more consistently achieve what it is capable of. 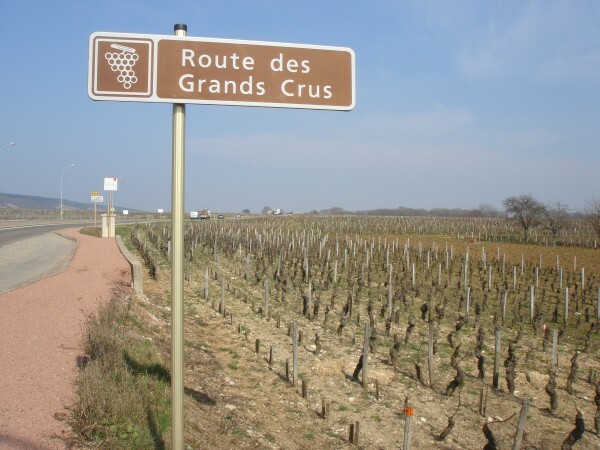 The idea that pinot noir and chardonnay find their best expressions in Burgundy is making its way to places beyond the traditional markets of Europe and the UK, as recent figures by the Burgundy Wine Board (BIVB) demonstrate. The emergence of the United States as the most important export market for Burgundy in terms of sales value, validates the steady reputation that these wines have built here. Thomas Jefferson would be glad to see his countrymen showing faith in what he discovered more than two centuries ago. 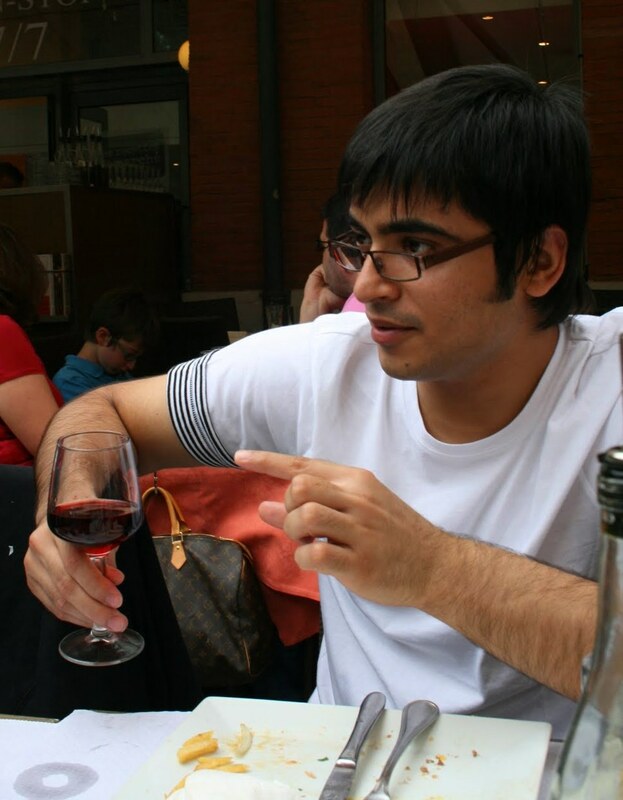 One factor responsible for growth would be “the admiration amongst the sommeliers for these wines” says renowned sommelier Rajat Parr, who currently serves as the Wine Director of the Michael Mina restaurant group. “As sommeliers are an influential lot in the American wine scene, their admiration is further transferred to consumers and collectors. Thus there’s a huge demand and the US remains a vibrant market.” This breed of affluent wine consumers, combined with recent gains in the US currency exchange rate, point to a bright future here. While the US market has consolidated, both the value and volume of Burgundy wines sold in the United Kingdom decreased in the first 10 months of 2011. In this key market for the region, with its many loyal customers, 15,859,000 bottles were sold in that period,at a total of 87,963,000 euros, a decrease of 12% in volume and 4% in value, respectively over the same period last year. Drastic austerity measures by the government and increases in taxes like VAT from 17.5% to 20% in 2011, are believed to be hurting this top player. The fact that the Euro gained strength against the GB Pound is also influencing prices and adversely affecting European wines in general. But at the same time, up to October of 2011, Britain remained the market that topped exports with the highest number of units sold. As for the other important markets of Europe like Belgium, Germany, the Netherlands and Denmark, all experienced decreased volumes through October 2011, though the monetary value of exports rose in Germany and Denmark by 14% and 3% respectively. Belgians still remain important as foreign buyers and as tourists who continue to purchase significant amounts directly from the cellars. In Scandinavia, it is Crémant de Bourgogne that seems to be tantalizing the consumers’ taste buds. Interestingly, on the flip side, the popularity of Crémant in new territories is diverting volumes while causing stagnation within the French market on account of reduced availability locally. A smaller harvest like in 2010 is additionally responsible for such a phenomenon. Speaking of France, the local population seems to be less inspired by the national beverage, these days. With rising inflation and concerns regarding unemployment, people are buying and drinking less. Over the long term, amounts spent on food and drinks have gone down from 35% of total household expenditures in the 1960s, to 20% today. The trend has continued in recent years: the average number of bottles bought yearly has also gone down from 58 three years ago, to 54 in 2001. It’s not necessarily all bad news, however. “They might be drinking less but they are certainly drinking better,” points out Christian Camios, Commercial Director at Albert Bichot — a major negociant based in Beaune that also owns four domaines and exports two thirds of their production — about the decreased consumption amongst French consumers. Burgundy wines continue to enjoy prominence in their home country: one in every five wines bought in French households comes from the region. Efficient distribution management in supermarkets and hypermarkets, coupled with direct sales from the cellars, have been drivers of positive growth for the wines. The sales through specialist wine shops–and there are more than 5,000 such shops in France — are an exception to the above positive trend. Once important, this channel is suffering the brunt of increased competition from bigger chains of shops and a decline in the numbers of casual shoppers going into those specialized stores. Consequently, Burgundian wines, especially cuvées made in more limited quantities — which are better represented by these retailers — are taking a beating. These shops today represent sales of seven million Burgundy bottles, a decrease of 10% compared to 2010. The economic situation in the country has also taken a toll on another traditional avenue where Burgundy has enjoyed popularity: restaurants. With fewer people eating out, wine sales in these outlets have gone down in the last couple of years, and 2011 is likely to have also finished on a low. Still, restaurants represent sales of about 24 million bottles for Burgundy, making them an important sales avenue. Burgundy is likely to consolidate its position in Asia further with predictions of China and Hong Kong becoming Burgundy’s sixth largest market by value over the next few months. Not surprisingly, names like Domaine de la Romanée-Conti and other high-end producers will constitute a big part of it. The market has been very welcoming to some Burgundian vignerons and the interest seems likely to persist in the near future. With China’s growing interest in Burgundy comes the concern of a price rise for top Burgundies. However, Bichot’s Camios insists that “Burgundy would remain loyal to its regular customers in different parts of the world and sell only the quantities that justify the price in the new markets like China.” Many will hope that everybody in Burgundy’s wine sector shares a similar vision. So what can one expect in the next few years? 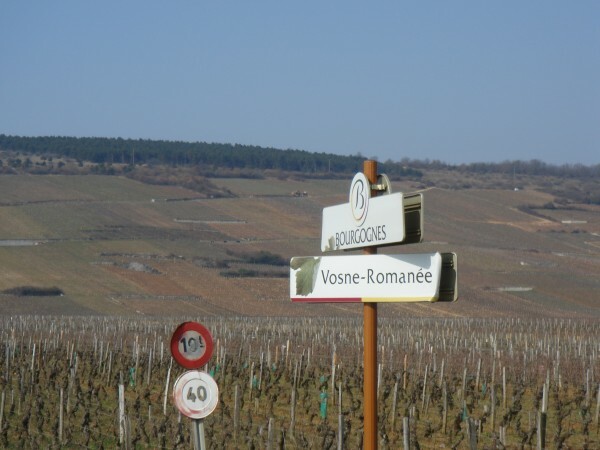 With its “Bourgognes Amplitude 2015” plan, the region has set off on an ambitious mission where it wants to be positioned as a global reference for great wines made using sustainable wine growing. In order to reach these objectives, the intention is to raise the quality bar for each of the 200 million bottles that the region produces. One thing is for certain: Burgundy wants to make sure it is seen and heard more in the near future. As it works further on the perception and quality image of its wines, a multi-faceted, global development scheme is in the cards. For further consolidation in its top five export markets, regular promotion and communication campaigns will continue. In the domestic market, frequent local events will aim to bring the trade closer to the end consumer. With sparkling wines a current fad especially in the Scandinavian monopolies, Crémant de Bourgogne could emerge as an important category. Further work in developing the Asian market, especially Hong Kong and China could also be seen. A step in this direction would be the ‘International Volunteers in Business’ program, wherein a candidate trained in Burgundy would execute different tasks in the Chinese market. This would include: acting as a point of contact for addressing trade and consumer training needs; keeping BIVB updated on the local market’s situation and the needs of the trade; reporting about fraudulent practices related to Burgundy wines as and when they are detected; and increasing the visibility of Burgundy wines. Additionally, proposed campaigns such as “White Nights with Chablis,” catering to both trade and consumers, would focus on food compatibility of the wines with the local cuisine. Where India is concerned, taxes might be stopping Burgundy’s growth, but the upcoming tasting of Hospice de Beaune wines could be an important breakthrough. The region’s plans for the next three years emphasize recruiting and training ambassadors for Burgundy and further spreading awareness about the wines. Sustainable development will be a key focus area as well, and support for wine research will be increased through possible collaborations with prominent regions like Alsace and Champagne. Amidst the above activities, it’ll be interesting to see how Burgundy tries to keep all its consumers happy. Supply of these wines is unlikely to increase by any significant amount over the next few years, and as new markets discover the region’s wines, they are likely to be swayed into experimenting and drinking more of them. This poses a potential problem in terms of prices, which have otherwise remained relatively stable in the recent past. With respect to traditional importers, one could expect further strengthening of the US market which is defining new trends in wine consumption and advancing fast as a mature market, for local and foreign wines. Where traditional markets are concerned, the pessimism spreading across European economies might restrict any significant growth in countries such as the UK and Belgium. On the contrary, dynamic players such as China and Hong Kong could well compete with the established names for a share of the export market, especially because of the speed at which they are developing. And lastly, India might also get further attention if their Free Trade Agreement with the European Union sees the light of the day. Thank you for a thoughtfully written analysis of sales trends with Burgundy. I am working with a company in the US that allows foreign wineries to sell direct-to-consumer in the US (www.wholeworldwines.com) and am on a mission to convince US importers to use this innovative new internet solution. We are working with one of the best Burgundy importers in the US, so this is a timely topic. Are other export markets using internet sales to reach out to target customers? I’m especially interested in hearing about Asia and India. Because many of the traditional import companies in the US are understaffed, and fearful of wholesale repercussion, many do not feel comfortable selling winery direct, even when the front line pricing offered is well above traditional key retail. On-premise sales, always the first priority for wineries, can no longer move the volume of expensive imports needed, but marketing outreach and $spent are still focussed on reaching an elite group of sommeliers to stimulate sales. 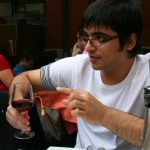 Many of these sommeliers can become wine evangelists through word-of-mouth and blogging, but without access to the wine this information isn’t useful. It’s our hope that a larger and larger group of interested consumers can access the treasures that are stored in US importers warehouses, which in turn will stimulate sales in traditional off-, and -on premise establishments.